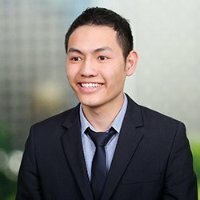 I am a Software Developer with over five years of experience developing mobile applications for Windows devices in C#, and two years of industry experience with C# and SQL. I also have several years of experience in the end-to-end mobile development life cycle including design, implementation, testing and release management. Interested in part-time developer roles for small (or large) start-ups/companies focusing on innovative projects within the web or mobile space, virtual/augmented reality, game development, data analytics, finance, robotics, Artificial Intelligence or similar fields.